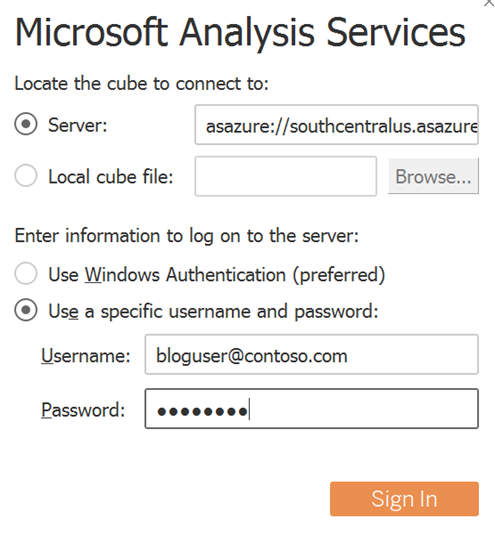 With Azure Analysis Services, you can connect to your severs by using Power BI, Excel, and many third-party client tools. 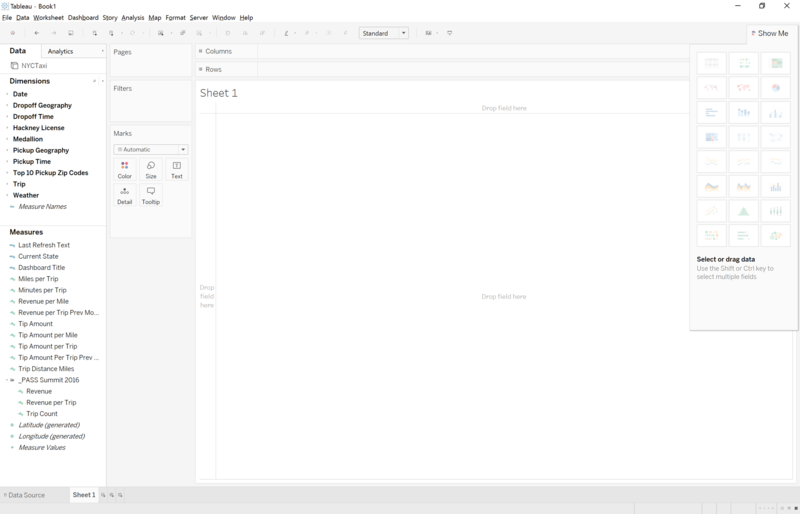 In this post, we’ll focus on how to connect to your server from Tableau Desktop. 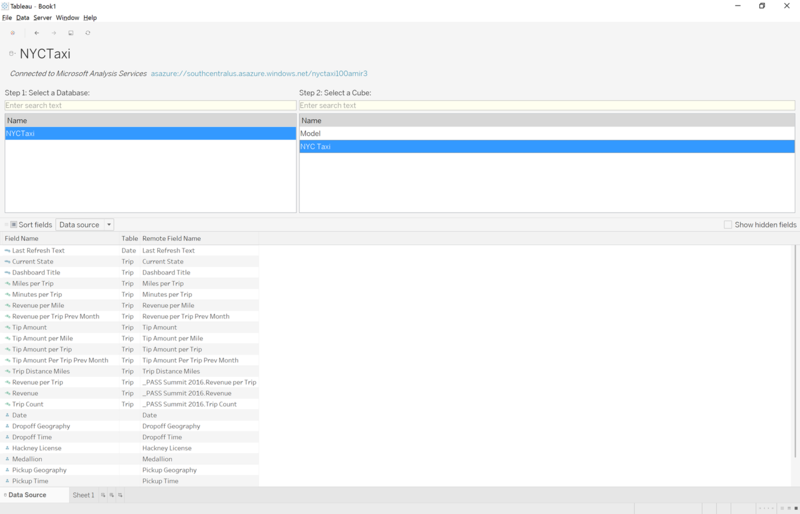 In Tableau Desktop 10.1, under Connect, click To a Server > Microsoft Analysis Services. In the connection dialog, in Server, enter the name of your Azure Analysis Services server. Then select Use a specific username and password, and then type the organizational user name, for example nancy@adventureworks.com, and password. In the Data Source tab, select the database and cube/model or perspective, and then click on Sheet 1. The Tableau workbook is now connected to your Azure Analysis Services server. You will see the fields from your model listed under dimensions and measures on the side. You can drag and drop those fields to the sheet to start building out your visuals.